The Transporter has been helping professionals since the 1950s and the latest generation. Voted International Van of the Year 2016 by industry experts, the T6 offers new safety features plus better convenience, comfort and economy. The Transporter range consists of the Transporter Kombi is part of the Transporter range that has been helping professionals since the 1950s and the latest generation, the T6, combines over 60 years of know-how to meet the needs of today’s business people. The Transporter Shuttle hasnique sliding doors on both sides of the Transporter Shuttle make it easy for your passengers to board quickly, plus there’s an easily reachable rear three-seat bench with folding and tipping action accessible from the back doors. 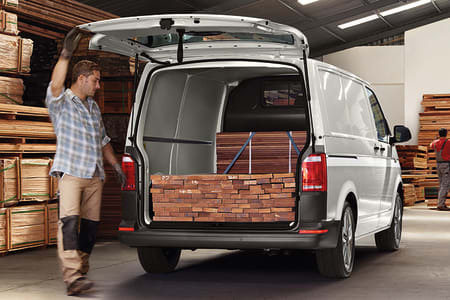 The Transporter panel van adapts perfectly to every transport task. With its high-quality interior and generously sized load compartment it offers functionalist and versatility. There’s a USB port in the glovebox and the 5” touchscreen includes MP3 and CD compatibility. For safety, driver assistance systems include automatic post-collision braking, brake assist and Volkswagen’s driver alert system as standard. 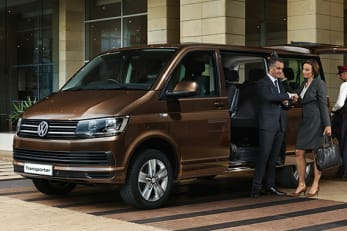 The Shuttle offers a choice of 3 new generation TDI diesel engines plus a BiTurbo TDI all of which adhere to the EU6 emissions standards, ranging from 102 PS up to 204 PS with a combined fuel economy of 47.1mpg. 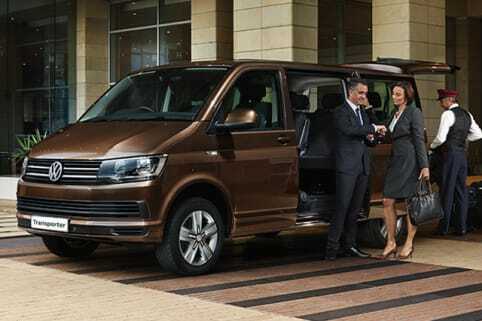 The Transporter offers a generation of TDI and BiTDI common-rail direct injection diesel engines with power outputs ranging from 84 PS up to 204 PS with the Euro 6 emissions standard and plenty of usable torque for shifting heavy loads. 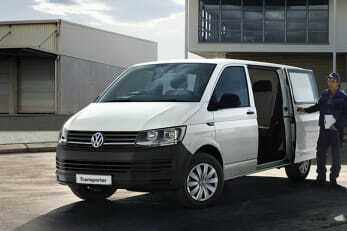 Transporter Panel Van T28 SWB Van EU6 2.0 TDI 102PS Startline manual.